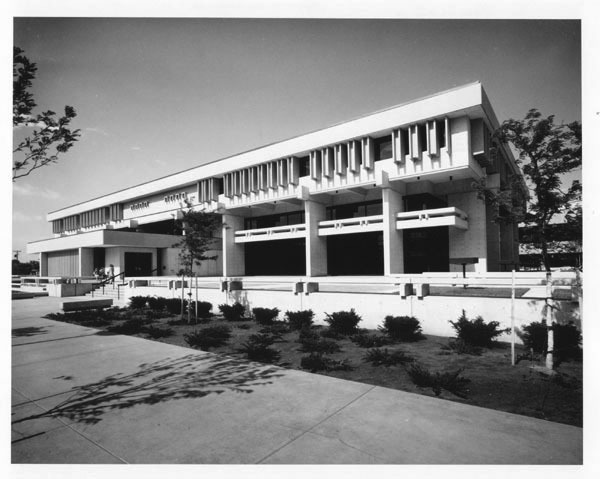 Description: The "new" Wichita Public Library at 223 South Main Street shortly after opening in the late 1960s. Keywords: Wichita, libraries and museums, education, public services, transportation, arts and entertainment, Public Library, architecture. Description: View of exterior of Wichita Omnisphere and Science Center, 220 South Main Street. The building, funded by Andrew Carnegie, opened in 1915 as the Wichita City Library. 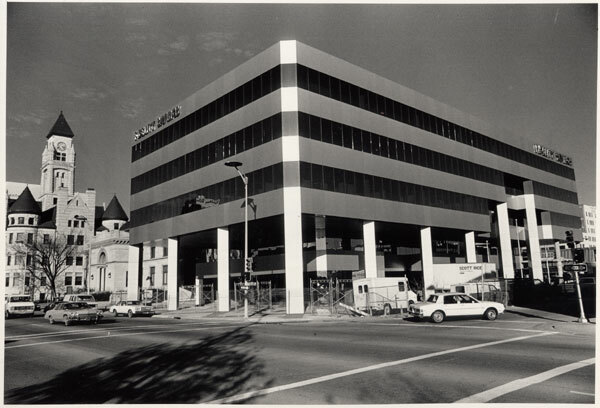 The Omnisphere and Science Center operated from 1976 to 2001 when it was disbanded. Keywords: Wichita, education, arts and entertainment, libraries and museums, buildings. Description: Interior view of Wichita Omnisphere and Science Center, 220 South Main Street. Designed by Wichita architect Anthony A. Crowell, building housed the Wichita City Library from 1915 to 1966. Mirrored display on main floor reflects architectural details. Keywords: Wichita, education, libraries and museums, buildings. Description: View looking southeast toward Mid-America All-Indian Center, 650 North Seneca. Built in 1975 and 1976 at the confluence of Arkansas and Little Arkansas rivers, the center houses social services agencies for Native Americans and a museum, library, gift shop and multi-purpose rooms.